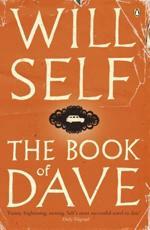 I have recently been reading Will Self’s new novel The Book of Dave. I found it brilliant but not exactly enjoyable. Do read it. The action takes place partly at the present day and partly in the distant future, perhaps a thousand years hence, by which time England has been inundated by rising sea levels, leaving only scattered patches of former high ground to support human life. This future is a despotic feudal-theocratic dystopia. Its ideology is a religion derived from the ravings of Dave (blog, 26 Nov.), a taxi-driver of the present day, driven mad by his ex-wife’s refusal to allow him access to their son. He wrote down his disturbed misogyny in a book which he then buried. Most of his book is a recitation of the Knowledge required of London cabbies, a detailed familiarity with all the streets and routes of within six miles of Charing Cross. The rest is Dave’s misogynistic proposals to reform society, with ‘dads’ and ‘mummies’ strictly segregated from one another, the children moving from one to the other every WED and SUN. Dug up centuries later, this book is the foundation of a new religion which becomes the established orthodoxy. In this dystopic future, prayer (addressed to Dave) takes the form of reciting the Knowledge, even though the places referred to have long been submerged. What I want to comment on today is the kind of language that the author puts into the mouths of the followers of Dave. They have two varieties of speech. One is a formal variety known as Arpee, which is ordinary standard English except for various cabbie-derived vocabulary innovations (screenwash for rain, the headlight for the moon, and so on). The other, informal, register is known as Mokni, and bears a remarkably close resemblance (given the passage of centuries) to contemporary Cockney. As well as having vocabulary innovations and typical Cockney slang and phraseology, this is represented in what people would no doubt call phonetic spelling, with some elements of txt conventions. Here is an example. Eyem gonna go onna bí! C if vairs anyfing bettah ovah vair! — Yeah, orlrì, but nó 2 fa. I’m going to go on a bit! (I’ll) see if there’s anything better over there! Yes, all right, but not too far. So the convention is that an acute accent denotes a short vowel followed (today, at least) by a glottal stop, and a grave accent denotes a long vowel. Much of this is simply eye dialect. That is to say, the spelling is changed in a way that doesn’t imply any difference of pronunciation, as eyem for I’m or onna for on a. Other examples of this include slorta for slaughter and carn for can’t — the sort of thing that is transparent to non-rhotic readers but that may prove trickier for the rhotic. This book will surely spawn a thousand PhD dissertations in English departments around the world as non-Brits struggle to make sense of it. How nice it is to be able to supplement my own patchy knowledge with that of my readership! With reference to the word stress of character (blog, 28 Nov.), Nigel Greenwood suggests the influence of Spanish carácter. But I think this unlikely, since Caribbean English is in general not influenced by Spanish. An Irish correspondent writes as follows. Character is recorded by Joyce (1910) as having penultimate stress in Ireland. In fact, he goes on to cite an example of such penultimate stress in an early-modern poem (don't have the author to hand). [...] I myself have never come across character with penultimate stress in Ireland, though I can tell you that cylinder and cucumber have penultimate stress in my own accent. I remember having attention drawn to my stressing of cylinder by a couple of my own peers — penultimate stressing for this word isn't the majority pronunciation for my generation. I didn't even notice that cucumber normally has initial stress until today's blog entry! My sister-in-law, from the Potteries like me, always pronounces cucumber with penultimate stress. [You said that] you were surprised to hear that Caribbean English pronounces the words character and calendar with stress on the second syllable, rather than the first. You then said, “As far as I know, this stressing is not found in other kinds of English.” In fact, these two words are pronounced in this way in Singapore English. In a book English in Singapore: An Introduction that I wrote with Low Ee Ling (McGraw-Hill, 2005), we listed the following words, all of which can be pronounced by (some) Singaporeans with stress on the second syllable where it has first-syllable stress in other varieties: abacus, faculty, penalty, abdomen, industry, precedent, Agatha, lavender, predator, cucumber, maintenance, prevalent. UCL Phonetics and Linguistics now has an excellent new promotional video. In Montserrat I noticed yet again the unusual word stress of the words character and calendar in local speech. In Caribbean English they are generally pronounced with penultimate stress, kæˈræktə, kæˈlendə. As far as I know, this stressing is not found in other kinds of English. Our usual British/American initial stressing ˈkærəktə(r), ˈkæləndə(r) is at least as old as Shakespeare. What hath this day deserved? The Caribbean stress pattern is actually what Chomsky and Halle’s stress rules in The Sound Pattern of English predict for words of this phonological structure. We see the operation of this double-consonant effect in such items as philander, November, momentum, sequester, meniscus, colostrum, conundrum. The ordinary British/American stress pattern of character and calendar violates the SPE rules — though, as usual, you can get round this by arbitrarily positing a particular underlying representation, in this case one with final vowelless /-ktr, -ndr/. The same applies to other everyday items, apparently exceptional, such as cucumber, cylinder, canister, barrister. The mystery remains: why do West Indians stress character and calendar differently from the rest of us? The advantage of having (havving?) the rule is that it enables us in inflected forms to drop the silent e that (thanks to another convention) shows the vowel as long. So a single consonant letter signals a preceding long vowel in hope, hoping, hoped; rate, rating, rated; time, timing, timed. 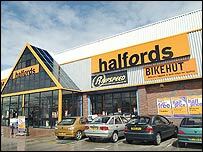 Given an understanding of our spelling-to-sound conventions, these spellings are unambiguous: shopping ˈʃɒpɪŋ, but hoping ˈhəʊpɪŋ. With v, however, this breaks down, Alongside give, giving, giver; have, having gɪv, ˈgɪvɪŋ, ˈgɪvə; hæv, ˈhævɪŋ consider drive, driving, driver; rave, raving draɪv, ˈdraɪvɪŋ, ˈdraɪvə; reɪv, ˈreɪvɪŋ. Because v does not follow the two rules, these spellings are ambiguous. Correspondingly, we write clever, devil, cover rather than *clevver, *devvil, *covver. The spelling is again ambiguous, as we see by comparing these examples with fever, evil, over. The only cases that do have medial vv or final v are “slang, humorous forms, or abbreviations: navvy, flivver, civvy, skivvy, revving, bovver; gov or guv, lav, rev, spiv” (quotation from Edward Carney, A Survey of English Spelling, p. 231; see also Masha Bell, Understanding English Spelling, p. 179). Neither Carney nor Bell mentions bevvy, meaning a drink, especially an alcoholic one. This noun is slang, originating as an abbreviation of beverage. It is an interesting case, because there is a homophone bevy, meaning a flock (of certain birds) or a group (of women). A last minute rescue of Northern Rock would suit Branson's taste for public relations flamboyance. No Virgin launch has been complete over the years without a bevvy of scantily clad women and a "stunt" from the boss. Since ТΗΣ is a very common word in Greek, pronounced [tis] and meaning ‘of the (fem.sg. )’, and since I have been doing Greek since I was aged twelve, I find it quite hard to read it as THE. This is from Will Self’s recent novel, The Book of Dave, p. 94 of the British paperback edition. Dave is something of a middle-class dropout, who has moved down-market to become a cab driver. The other participants in the conversation, including Mrs Hedges, are thoroughly working-class Londoners. What am I doing here? Dave said to himself with Received Pronunciation, as Mrs Hedges’s Hs fell at the floor by his feet and Ts stopped up his companions’ throats. This isn’t me, it’s an act ... because Dave hadn’t dropped his Hs — he’d flung them away from himself, ninja stars that stuck quivering in the smoky bacon Victorian woodwork. This is not bad as a literary description of the “Mockney” phenomenon, now frequent in Britain, in which people consciously and intentionally make their speech less standard, more demotic. H dropping and T glottalling are the most prominent variables involved in this process. A gloss for non-Brits: ‘to do your nut’ means to be very worried or (as here) angry. I have just returned from two and a half weeks in Montserrat. Here is a page of pictures taken during my visit. Following on from yesterday’s discussion, Biljana Čubrović tells me that in Serbia, where they use both the Cyrillic and the Latin alphabet, the confusion between them is the basis of numerous jokes. One is that foreign visitors in Serbia, when they want to eat, tend to ask for a [ˈpektəpɑː]. Why? Because they see the inscription РЕСТОРАН written above restaurants. But native speakers of Serbian have no idea what the visitors are talking about, because this is actually Cyrillic and reads simply RESTORAN (restaurant), pronounced [restoran]. There's a long-standing Russian joke — it's referred to by both Chekhov and Nabokov — involving a schoolboy's reading the word чепуха [tʃɪpuˈxa] (nonsense) as renyxa (this refers to the handwritten Cyrillic form of the former, which looks very much like the latter written in Latin). Continuing the joke, there is even a species of wasp to which a certain M A Kozlov gave the scientific name Renyxa incredibilis. It’s not just phonetic symbols that the general public is ignorant of — in Britain, at any rate (blog, 26 and 30 October). It’s other writing systems in general. Alongside you see the cover of the comedian Sacha Baron Cohen’s latest Borat book, supposedly written by his fictitious Kazakh character of that name. For the general English-speaking public the spelling ВОЯДТ just looks like an exotic, Russian-style spelling of BORAT. But to anyone who knows the Cyrillic alphabet it reads [v-o-ja-d-t], which is not the same thing at all. The joke depends crucially on the reader not knowing Cyrillic. “ОUT ИOW AT ALL CДPITALIST BOOKSELLERS”. Ee-ow! Several correspondents wanting to comment on what David Deterding said (blog, yesterday) either didn’t read it very carefully or didn’t understand it. To spare their blushes, I won’t name them. Is the vowel in question in his pronunciation closer to Cardinal Vowel Number 4 rather than more typical realisation of English STRUT vowel, which is now in advanced position from Cardinal Vowel No 14? — which is irrelevant to the question that David raised, which concerns not the phonetic quality but the phonemic affiliation (TRAP or STRUT) of the first vowel in albatross etc. I am very surprised to know that for David Deterding the letter "a" can correspond to [ʌ]. As you always say in your lectures, I have always thought that the letter "a" can never correspond to /ʌ/ and "u" can never correspond to /æ/. Do you think he means [a] ? because you say, "speakers do not usually perceive this as a change of phoneme." The quality may well be [a], but so what?. Most speakers do not recognize this as a change of phoneme, but David, introspecting, does. That was the point of his comment. ...As you say, allophonic lowering of short front vowels before /l/ is widespread, but speakers do not usually perceive this as a change of phoneme. So the fact that David does perceive this as a change of phoneme is significant, isn�t it? I think that phoneme is [ɑ]. I’m sure David is competent enough to report accurately whether he equates his vowel with STRUT or with PALM, and he says it is with STRUT. Anyhow, David, no one else has yet claimed to speak like you in this respect. I still don’t know whether it is hɒlfədz or hælfədz. Personally I say neither of the above, but hɔːlfədz. I think this is one of a number of words spelt with <alC> in which spelling pronunciation is leading to the replacement of historical /ɔː/ succesively by /ɔːl/ or /ɒl/ and then ultimately by /æl/. 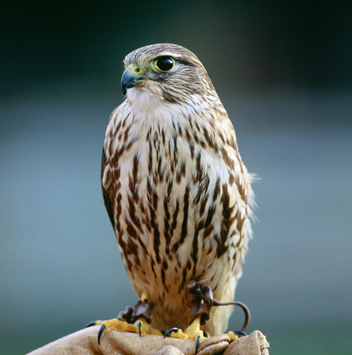 A good example is falcon, which used to be /ˈfɔːkən/ but is now increasingly /ˈfælkən/. I don't even know what palp means, so that doesn't help much. 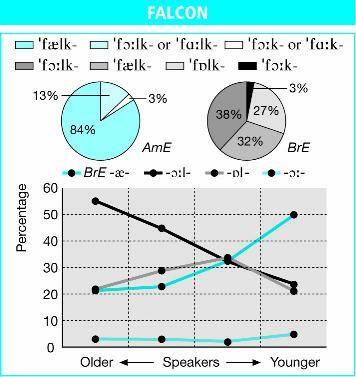 But falcon and Vulcan are nearly homophones, only distinguished by the voicing of the initial fricative. That's the closest test I can think of. An email group that I belong to has been having a discussion about the spelling-to-sound relationships of the English spelling al. ...you might ask yourself what vowel you have in the first syllable of balcony — is it the same vowel as in the first syllable of allergy (TRAP) or that in vulgar (STRUT)? For me, all words with <alC>, where C is any other consonant, have STRUT — albatross, altruism, algorithm, alcohol, balcony, calculate ... which means that the process of backing of <a> before a dark /l/ is a continuing process. Note that this does not happen before a clear /l/: allergy, Sally, callous, fallacy .... all have a front vowel (TRAP). But I don't know if this is a widespread process or if it is idiosyncratic of my pronunciation. I have never come across this before. For most of us balcony and albatross have /æ/. So my reaction was that it may well be David’s idiolectal idiosyncrasy. Allophonic lowering of short front vowels before /l/ is widespread, but speakers do not usually perceive this as a change of phoneme. I am aware that a similar treatment of /e/ has been reported for New Zealand English, where words such as shell are perceived as having /æ/ rather than /e/. So I asked David whether he had the same thing with /e/. No, I don't have an open vowel in shelf. There is the usual allophonic lowering before dark /l/, but otherwise no difference from the vowel in shed. Do you think the lowering of /�/ before dark /l/ is a common phenomenon? I was quite stunned the first time I checked a pronouncing dictionary and found that the vowel in alcohol is shown as TRAP rather than STRUT. I have the impression that my pronunciation is quite widespread, but I have no evidence either way, and now being in Brunei, I don't have the opportunity to check it with anyone in Britain. I would be very interested to know if others have this change. I wonder if anyone does.